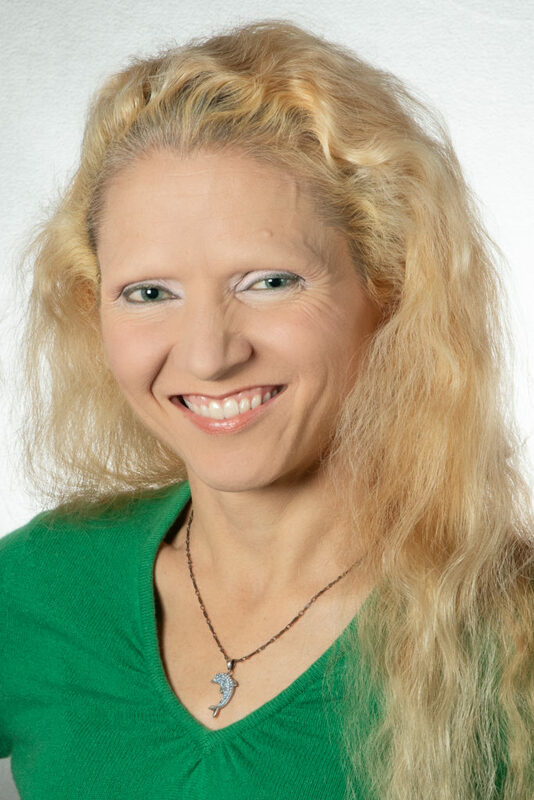 Kelly Batchelor is an active competitive DanceSport member of USA Dance and the co-organzer of the Chicago DanceSport Challenge, a USA Dance National Qualifying Event held annually in late October. Kelly and her partner, Alan Burns who also happens to be her husband, currently hold the #36 spot in Senior 1 Standard and the #41 spot in Senior 2 Standard on the WDSF world leader board. Kelly sat down with The Dancing Housewife earlier this year to share her thoughts on World Dance Sport Federation events both in the US and abroad from the perspective of a dancer and a competition organizer. DH: How long have you and Alan been dancing? How long have you been competing? KB: Alan and I began dancing together in 1998 in a formation troupe at the University of California, Davis. We began competing at the end of 2003 when we moved to Chicagoland. DH: In which styles do you compete? DH: When did you first begin to enter WDSF events? KB: Our first WDSF event was when the WDSF was still known as IDSF. It was in 2008 at the Grandslam that used to be held at Embassy Ball in Irvine, California. That was when NDCA competitions were still permitted to work with USA Dance. WDSF could use the NDCA’s larger money base to organize these large (for North America) international competitions. There were more than 60 couples. DH: Have you ever competed outside of the United States? If so, where? KB: In 2018 we competed in Toronto, Canada and in Europe in Hungary, Slovakia, Switzerland and Serbia. This March we will compete in Romania and Italy. DH: What sort of experience has competing internationally been for you? KB: It was eye-opening. The dance community is very welcoming. In some ways everything is the same, but the competitions are run very differently. They seem mostly to be held in large sports halls. Air conditioning, sadly, is hard to come by. There is a very informal feeling when you check in and the dressing situation is quite different. Usually, there is not an “on-deck” area and certainly no deck captain. Couples are not babied. You are responsible to get yourself on the floor and they aren’t going to spend time looking for you. You really have to pay attention – especially because they are likely not speaking your native language and you are numbered according to your event, meaning there are likely many people dancing different dance styles walking around with your number on their backs. This means that you have to be VERY careful when looking at the monitors for heat times and randomized heats. There are a lot of judges from a lot of different countries. There is a LOT of talent and there are a LOT of couples and yet, we still manage to run into our extended dance family everywhere we go. DH: Competing in foreign countries obviously brings with it the added challenge of foreign languages. How have you handled competing in countries where you do not speak or understand the language? KB: We are lucky in that the English language is almost universally understood and with so many judges and competitors from different countries, many announcements are made in English. Most times, even if announcements are not made in English, you can find somebody who understands you and is willing to help with your questions. DH: Let’s shift to your role as a competition organizer. What is your position on the Chicago DanceSport Challenge organizing committee? KB: I am the co-organizer of the Chicago DanceSport Challenge. DH: How long have you been involved with Chicago DanceSport Challenge and how long have you held your current position? KB: The first year I volunteered for the Chicago DanceSport Challenge was 2005. I became the co-organizer in 2006. DH: The Chicago DanceSport Challenge is a USA Dance sanctioned National Qualifier and host to several WDSF events. Which WDSF events are hosted? KB: This year the Chicago DanceSport Challenge hosted WDSF Open Standard events in Adult, Senior I, Senior II and Senior III. 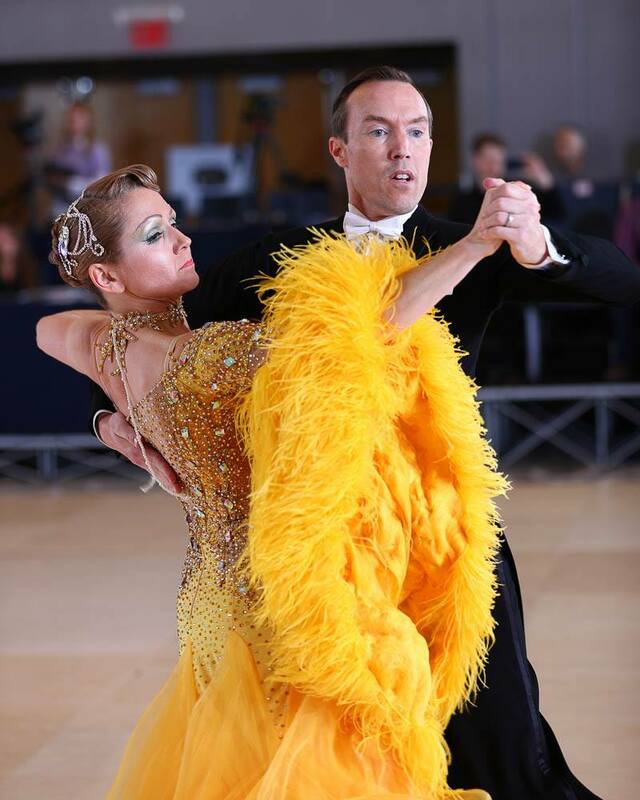 DH: How are WDSF events different from the USA Dance events contested at Chicago DanceSport Challenge and other USA Dance sanctioned competitions? KB: First, there is basically one proficiency level. It would be equivalent to our championship level. The only exception I can think of is that they do offer a rising star event at some competitions where you can only enter if you are not in the top 50 in the world. Then, there is the requirement that judges must come from more than one country. In Europe, the minimum is five countries. In North America, we have an exemption and our minimum is two countries. From the competitor perspective WDSF events in the US feel very much like a typical USA Dance championship event. We might notice that the music seems a little longer because WDSF seems to be a little more strict about that minimum time, but USA Dance rules are patterned off of WDSF rules, so events contested here in the US feel very similar..
DH: I’ve noticed many WDSF couples have world rankings. KB: Yes. Couples receive world ranking points for their placements at WDSF events. DH: Can you explain the WDSF point system in ranking couples? KB: Point allocations are determined by a couple’s placement, but the number of points for an individual event is impacted by several factors. These include the number of judges, the number of competitors and the number of countries represented by each and by the rankings of each couple competing in the event. There is a base number of points that differs depending on the category, and there can be subtractions, calculated by a percentage) if there are too few couples, and additions for high numbers of couples, judges, countries and high rankings. DH: As I understand it, WDSF ranks couples by style and age classification. Can you explain how these world rankings are established? KB: Yes, a couple is ranked against all other WDSF athletes in their specific event or dance style and age classification and that ranking is determined by using their top six scores from the previous rolling twelve month period. Alan’s and my scores over the last 12 months ranged from 79… when we, um, didn’t win…. to 240 when we did. You add up the top six scores and you get, in our case, 1272 points which, as of today, is good enough for #36. World rankings, however, are very fluid. People are constantly competing with varying levels of success and/or letting points expire or retiring, etc. DH: Who is eligible to dance in WDSF events? KB: Any athlete who is registered with the WDSF through his or her country’s member body. In the United States, athletes must be members of USA Dance in order to be eligible to apply for WDSF membership and compete in WDSF events. The application is easy and completely automated via the e-card system. To apply for a WDSF e-card, one can visit the USA Dance national website homepage, choose the DanceSport tab, scroll to WDSF and click. The instructions for applying and links to the application may be found there. DH: Is there a proficiency requirement? KB: While technically any level dancer could dance a WDSF event, it is perhaps best to begin entering these events when you are dancing in the open proficiency levels. A syllabus dancer would likely feel a little out of place and might be moving at a very different speed than the other couples on the floor. DH: What is the protocol for entering a WDSF event? KB: Once you have your e-card it is very simple, but it differs from competition to competition. For USA Dance comps that run on o2cm you simply enter online as usual. Some WDSF events allow you to enter through the WDSF website using your Member Identification Number, more commonly called the MIN. And, of course, there are many other online registration systems that are usually very easy to use. You simply enter your MIN number and they pull your info from WDSF database and you check the boxes for the events you wish to enter. In the US we almost always pay in advance online. In Europe they had us pay in cash at each event. The alternative was wire transfer. DH: How do couples qualify for WDSF World Championships? KB: For world championships you need your member body to nominate you to the event. Basically a member organization has to tell the World Championship organizer it’s OK for you to enter. In the US, couples contact the VP of DanceSport for USA Dance to ask to be nominated and he will contact the appropriate person. Make sure to check if you need a visa for the country you are visiting (you can check on the US Department of State website) and if you do need a visa, you may need an invitation to compete from the organizers. Most organizers have these ready so they can give them to couples almost immediately upon request. DH: Why is it important for American competition organizers to host WDSF events? KB: WDSF events are our connection to the rest of the world. Once an athlete is dancing championship and has pointed out of the other levels and is placing highly in national events, what is next? Is that the end? No. Athletes are driven to compete. We want to see how we stack up against other athletes. Having WDSF events in North America gives us the opportunity to begin to be exposed to dancers from around the world. It may be only one or two couples at a given competition, but they all bring their own flavor and each one that comes provides an opportunity for learning and making new friends and building bridges and being inspired… something we all need. Hosting WDSF events in North America also gives American couples the opportunity to establish world rankings and be seen by judges from other countries who may have a slightly different view. The more we can grow these competitions in North America, the more we can level the playing field, so to speak. Currently European couples have a huge advantage when it comes to access to coaches, competitions and high level dancing to inspire and challenge. DH: What are the challenges facing organizers specific to WDSF events? KB: The two primary challenges for organizers are cost and getting couples from abroad to participate. When an organizer runs a WDSF competition in conjunction with a USA Dance event, it is like running two competitions. There are two sets of sanctioning fees to pay. There are two sets of officials to be approved and brought in (although many officials are able to adjudicate for both USA Dance and WDSF so there is probably some overlap.) There are two sets of rules to be followed. Fortunately we can mostly use WDSF judges for USA Dance events –except that some of them cannot judge American style events. The United States is a large country and we are already required to try to bring judges from diverse areas (which means most need plane tickets.) When you add the cost of bringing judges from outside the country, costs can be dramatically increased. And in 2019 costs will be even higher because the WDSF is removing sanctioning discounts we have enjoyed for the past couple years. USA Dance competition organizers work very hard to keep prices as affordable as possible for our dancers, but the fact remains that we have to pay for the venue, officials, floor, sanctioning fees, etc.. All very expensive. In Europe, most of the judges can drive to the competitions they judge. Most of the countries are quite small and surrounded by other small countries. This fact, and the types of facilities available at very different prices than in North America and the larger spectator base in Europe make a comparable competition far more affordable to run than it would be in the United States. DH: What suggestions do you have for addressing the challenges that WDSF events pose to organizers? KB: For costs, the WDSF is helping, but could help more. The WDSF only requires North American competitions to have two countries represented on the judging panel while Europe must have a minimum of five. If the sanctioning fees were also kept lower than normal it could help as well. But to get couples from abroad to come to North American WDSFs we need to be able to offer them lots of points. The way to do that is to either have a large event (not something we can fully control) or have judges from at least seven countries. Here’s where the WDSF comes back in: if they could alter their policies to consider states or provinces in North America to be equal to countries in Europe, North American competitions with large panels of widely geographically spread adjudicators could offer very nice point additions even if the competition had a lower number of entries. To help keep travel costs at a minimum, US organizers can hire Canadian judges and Canadian organizers can hire US judges. There are no WDSF judges in Mexico. But organizers may contact the DanceSport VP to find out if there are foreign WDSF judges staying in North America for extended periods of time who might be able to adjudicate and save on airfare. DH: With the requirement of an additional set of judges and the expiration of the WDSF discounted sanctioning fees for North American events, what can athletes expect organizers will be doing to offset the rising costs of hosting WDSF events here in the US? KB: I think organizers are either going to need to find more donors, which is already a difficult proposition in an almost entirely volunteer organization, or they will have to add a WDSF entry fee on top of the normal entry fees. In Europe most competitions charge an entry fee of between 35 and 70 Euros per WDSF event and those fees are on top of the fees for any national events the couples wish to enter. As seen recently at the MAC and during the early adoption of WDSF in the US, we should expect to pay a per event fee when entering WDSF events in the states. I imagine that fee will run about $50 per couple, per WDSF event entered. This money should help with the hiring of additional judges and the sanctioning fees the organizers have to pay in addition to their USA Dance sanctioning fees. DH: What are the challenges facing competitors specific to WDSF events? KB: North American competitors face the challenge of being able to find enough competitions to enter to get enough points to climb in the world rankings. To be in the top 50 a couple needs to approach an average of 200 points per competition for six competitions. Since North American competitions almost never offer more than 240 points to first place, this means a couple must be in the top three placements for six competitions. Currently, if you won all six competitions valued at 240 points you would make #26. Therefore, if a couple wishes to climb even higher, they currently have no choice but to travel to Europe for bigger comps and panels with large numbers of countries represented. Here, of course, cost and vacation time can become large factors. Because of the large number of WDSF judges and competitors in Europe, it can, of course be difficult to get enough exposure to allow a couple to be noticed and marked in competition. Another small consideration for couples is simply stamina. 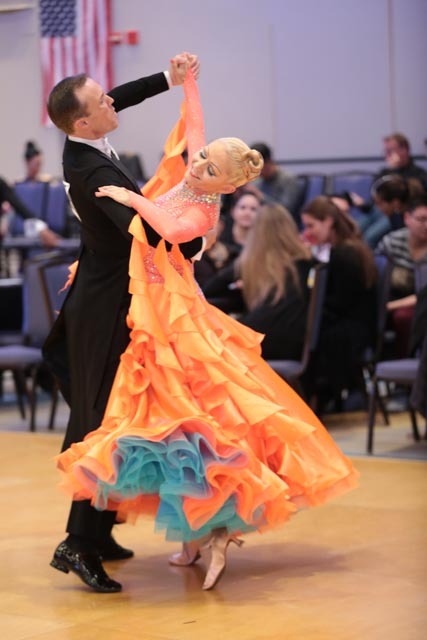 WDSF events can be run slightly longer than our championship national events and if a competition offers two age categories a couple may enter, they stand to double the number of rounds they could dance. DH: What suggestions do you have for couples just getting started on the WDSF circuit? KB: Decide on goals and tailor the competition schedule to fit, donate, volunteer, ask for WDSF events. Tell organizers what you want and help them to get it for you, go to as many in North America as possible, try to budget for Europe and don’t ignore physical and mental fitness to keep you going. DH: What suggestions do you have for couples regarding the financial challenges that accompany competing abroad and here in the US? KB: Once you have decided on your goals and competition schedule, plan ahead and budget your dollars and your time. Decide on what is most important to you in a competition and if you have to cut one out, do it so you will be able to be prepared and afford the time and money for the next that is more important to you. Alan and I have a certain set of criteria a comp must meet for us to attend. The first question we ask is does the comp have S1 and/or S2 WDSF Standard? If yes and it is in North America, we will almost certainly attend. If no and the comp is nationals, or has a national training camp associated with it, or it is close enough to home to allow us to attend without needing to pay for a hotel room we will likely still go. If the comp is an NQE and is generally well attended by our age category, we are still likely to go even if we have to fly and rent space in a hotel. DH: It seems lots of Americans travel abroad to compete in WDSF events in Europe. How can we encourage European, Asian and other foreign based couples to travel to the US for WDSF competitions? KB: There are a lot of Europeans who actually want to come to the US to compete because they want to take a vacation here, but it is expensive for them to do so. One incentive is for us to be able to offer them a nice amount of points to boost their world ranking. We can also organize sightseeing and other fun activities for them to do surrounding the competition. Frequently when contacting an organizer, a European couple may ask for assistance attending the competition. They may need a discount on entries or hotel. Also, many couples travel with their coaches. If there is a way to make that less expensive for them, they may be more likely to come as well. DH: The first ever WDSF World Championships in American Smooth will be hosted in the United States in February 2020. What can we do to encourage attendance by international couples? KB: If you know who they are, TALK to them. Make friends in person when you attend comps and then make friend requests on Facebook or other social media to keep in touch. Offer them travel assistance. Share a car. Consider sharing a hotel room. Plan fun things to do outside of the comp. The events need to be well publicized, but world championships do sell themselves to some extent. We just need to make sure there is enough participation outside the US to have couples who want to attend worlds as well. DH: Thank you Kelly for taking the time to speak with us. KB: It was my pleasure. When not on the dance floor, Kelly is a receptionist at the Yorkville Animal Hospital and Alan is a consultant with Flexera Software. Their family includes an 18 year-old Blue Throated (Caninde) Macaw named Jasmine, a 14 year-old Scarlet Macaw named Rosie and a 28 year-old Blue and Gold Macaw named Willy, whose plumage is the inspiration behind many of Kelly’s vibrantly-colored ballgowns. To learn more about Kelly Batchelor and Alan Burns and to follow their dance journey, LIKE them on Facebook. 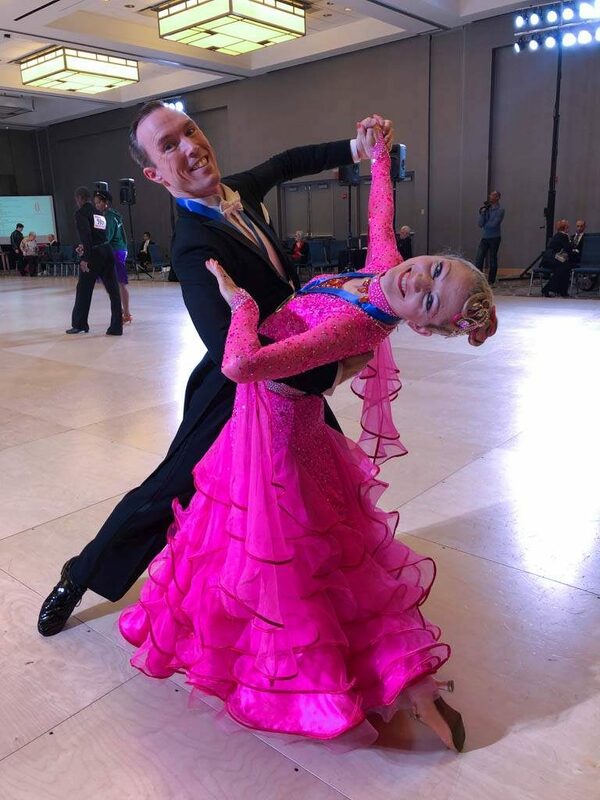 This entry was posted in The Dancing Housewife and tagged ballroom dance, Chicago DanceSport Challenge, Kelly Batchelor and Alan Burns, Standard Ballroom, The Dancing Housewife, USA Dance, WDSF by The Dancing Housewife. Bookmark the permalink.